On January 30, 2019, the FDA approved the first generic version of Advair Diskus. This popular inhaler medication is one of the most commonly used prescriptions for treating Asthma and Chronic Obstruction Pulmonary Disease (COPD). This new license will provide patients with access to more affordable prescriptions. This advancement will also affect the drug market in other parts of the world. There are over 334 million patients in the world who are currently diagnosed with asthma and over 251 million with COPD. Generic medications like this help to lower the cost of prescriptions as well as to provide the drug to the rest of the world. This type of international development in the pharmaceutical market is achieved through translating the drug’s research and providing it to other countries, as well. Inhalers deliver a quick burst of Advair Diskus in the form of powder (fluticasone propionate and salmeterol inhalation). The medication opens airways and helps to regulate healthy breathing. Fluticasone propionate 100 mcg/ salmeterol 50 mcg, fluticasone propionate 250 mcg/ salmeterol 50 mcg and fluticasone propionate 500 mcg/ salmeterol 50 mcg. 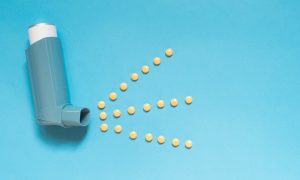 We can compare the potential financial impact of this generic drug to the other common form of asthma treatments; nebulizers. Nebulizers are less discrete and often a more effective way to inhale medications popularly used to treat asthma. 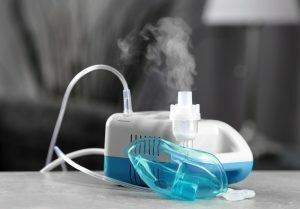 According to a research study conducted by the Office of the Inspector General in the U.S. Department of Health and Human Services: 10 doses of prescription nebulizer medication typically cost $12.10 for brand name or only $.40 for generic brands. (a 3025% difference) Nebulizers are usually used 3-4 times a day which amounts to a costly medication. In the past decade, the FDA has been pushing for better-priced options on drugs, even going as far as issuing 27 different documents to guide private companies on how to develop generic transdermal and topical delivery systems. With pharmaceutical development mainly being conducted overseas and a growing need to share research, active medical translations are a key to developing and spreading access to drugs like the generic version of Advair. Translating these types of drugs are especially important in countries that have a higher need for Asthma and COPD treatment such as Brazil, China, and Sweden. Through translations we can also look at the difference in pricing structures in places like Turkey and the UK to find potential improvements in the United States. CSOFT International provides fast and affordable translations by experts in the medical field. CSOFT only uses in-country translators who translate into their native language and in their field of expertise. 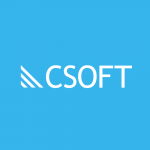 You can get into contact with a CSOFT representative for a quick and easy quote here. Do you have a smaller project that you want completed as soon as possible? Submit it here for an instant quote on your project that CSOFT can start translating right away.